We just completed yet another successful crash course here at ArcStone, and because we’re all still buzzing about it, we wanted to share some of the questions that came up and the best practices that we follow for our own clients’ content marketing initiatives. Q1: How Frequently Should I Post? 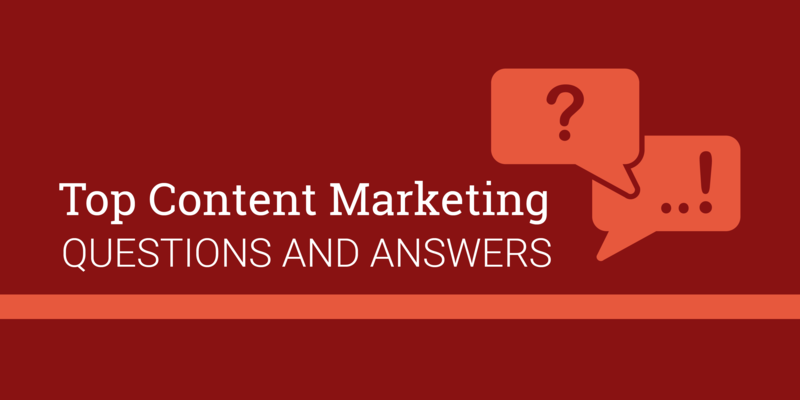 This question is one that comes up maybe more than any other question I get about content marketing. The answer is simple, be consistent and focus on quality. Yes, it’s probably easier if I were to give you some magic number that will skyrocket your content marketing efforts, but the truth is that doesn’t really exist. The frequency of promotion or production is less important than the quality of your content. It’s as simple as that. If you are a one-(wo)man-run-machine, you probably aren’t able to post on social multiple times a day while writing great blogs a few times a week. Be realistic about how much bandwidth you have to really churn out some quality content. That being said, there are some awesome scheduling tools that can free you up and allow you to post much more frequently than you could if you were taking the time out of each day to publish. Don’t overlook the content tools that are at your disposal, one of our favorites is HubSpot. Rule(s) of thumb: Quality over quantity. Consistency over frequency. Q2: How Do I Promote My Content? I like to stick to two different types of promotion when answering this question. Organic and paid. One is likely to reap more results than the other, can you guess which one that is? Ding ding! Putting money behind your efforts will always show better results because the digital platforms you’re using will be forced to show your stuff to more people. I absolutely do not recommend throwing money at every piece of content you create to boost its numbers. Just as you developed an initial content strategy, you should be strategic in the content you’re promoting through paid. Paid promotion should be strategic and they should exclusively have a goal of lead generation, retargeting, and only in some cases, awareness. Organic promotion is utilized for pretty much everything you create, otherwise, how are people going to see it? Unless you’re Apple or Google, you should be promoting your stuff. When I say organic promotion I’m talking about posting on different social platforms and publications that don’t charge a fee. Anything that increases the number of eyes on your content without a dollar amount is an organic-type of promotion. Q3: What Form of Content is Best? The answer is, all of them! Every piece of content whether it’s a minute-long video, an infographic, or a 500-word blog post serves a purpose. The magic of content marketing is that it reaches different members of your audience at their own levels in the way that they respond best. The tip I always give other marketers looking to really get serious about content marketing is to create overarching goals for their content before even creating any content. What do you want to accomplish? Do you want your audience to become more aware of your brand, engage with your online pages, or generate quality leads? These goals should drive every piece of content you create. There are many more questions we get about content marketing best practices, if you’re interested, attend one of our crash courses or contact us! We’d be happy to meet you!